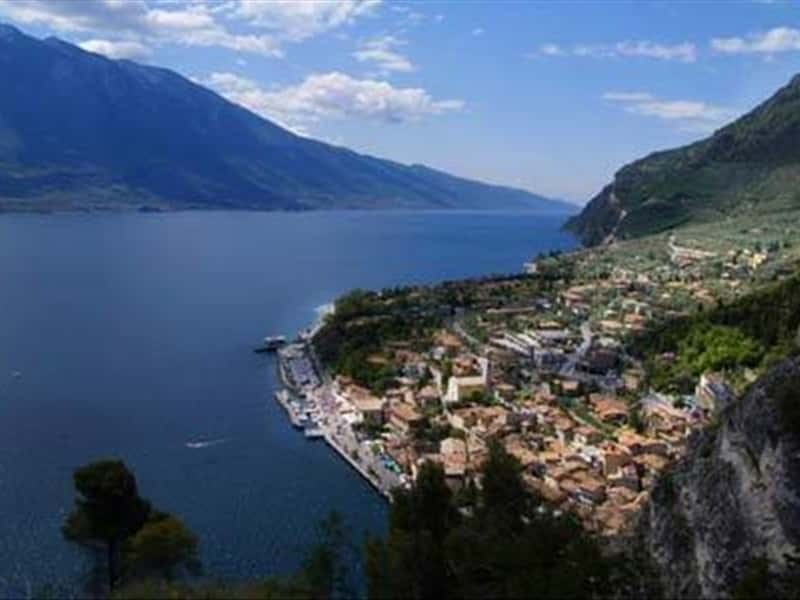 Limone sul Garda is located in an inlet of the Brescian shore of the Lake Garda; it is a very picturesque small town, characterized by mild climate and blooming lemon orchards: in fact, Limone is the northernmost spot in the world where lemons can be grown. The name Limone, though, does not derive from the citrus fruit but from the "limen", or frontier. It was, in fact, a border area under the Visconti and Venetian Republic. Among its most valuable artistic buildings, the parish church of the XVII century houses two pictures by Andrea Celesti and the "Palazzo Gerardi" the so-called "della Finanza" of the XVIII century. This town web page has been visited 35,594 times.